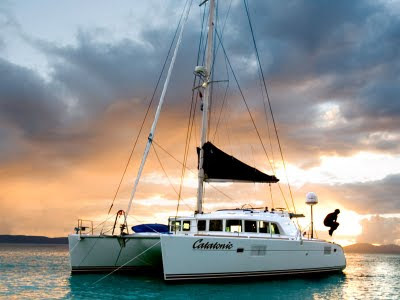 CATATONIC is offering 8 days for the price of 7 for any charter booked for dates through the rest of 2011! Starboard Hull is one large cabin (owner's cabin) with sitting area, lots of cupboard space, separate walk in shower. All guest cabins have TV and AC controls.